LOOK NO FURTHER! Your future home is this beautiful 2-story, single-family home on HUGE lot, and cul-de-sac! 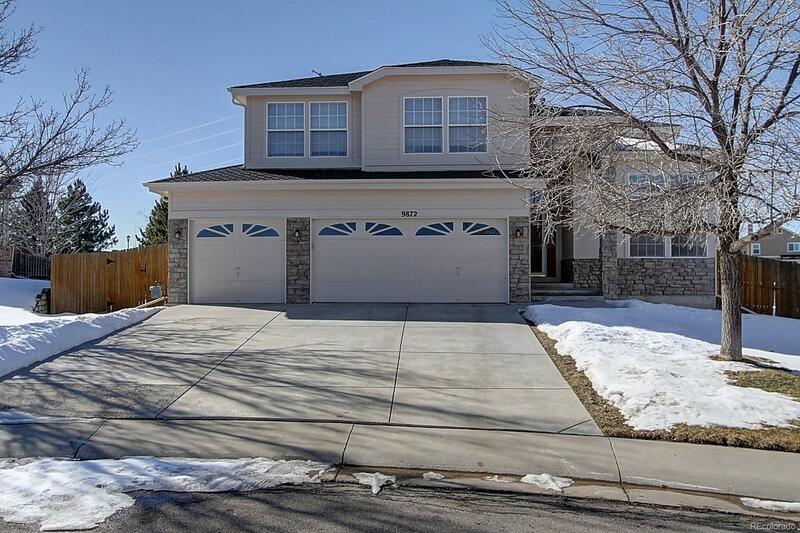 Vaulted, 2-story ceilings, and incr ruble natural light throughout from numerous windows! Grand entry welcomes you private Study/Den with double French doors, semi-formal Living and Dining Rooms, Family Room with gas fireplace, and large eat-in Kitchen. Kitchen has white appliances and center island with stove top. Upper level has 3 Bedrooms and a sizable Loft. Loft is perfect for movie night, casual office, kids play or study room! Spacious Master Bedroom features a private bathroom with oversized walk-in shower and European glass, and big walk-in closet! Unfinished basement is ready for your personal touch! Back yard is a dream!! Biggest lot on the cul-de-sac, expansive property with mature trees, hot tub, and maintenance-free deck! Perfect for entertaining friends and family, and for kids and pets to run and play! Amazing home! Fantastic neighborhood!